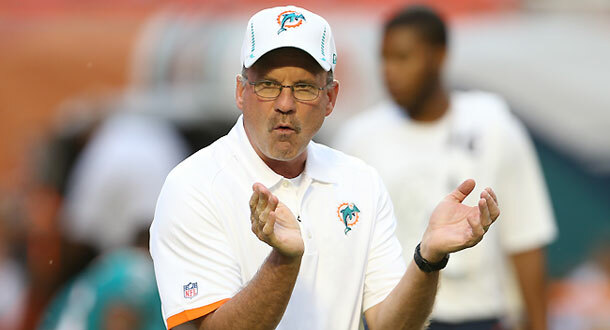 Miami Dolphins’ defensive coordinator Kevin Coyle has been fired, following a string of poor performances by the team. Coyle entered this year on thin ice after Miami’s defense collapsed in the second half of last season. Former defensive backs coach, Lou Anarumo, will take over his place. Coyle is the lasted causality of the Dolphins’ weak start in the season, following Coach Joe Philbin’s firing this week. The Dolphins announced Thursday that Jeff Burris was promoted to assistant defensive backs coach and will work with the team’s cornerbacks. Assistant defensive backs coach Blue Adams will continue to work with the team’s safeties.